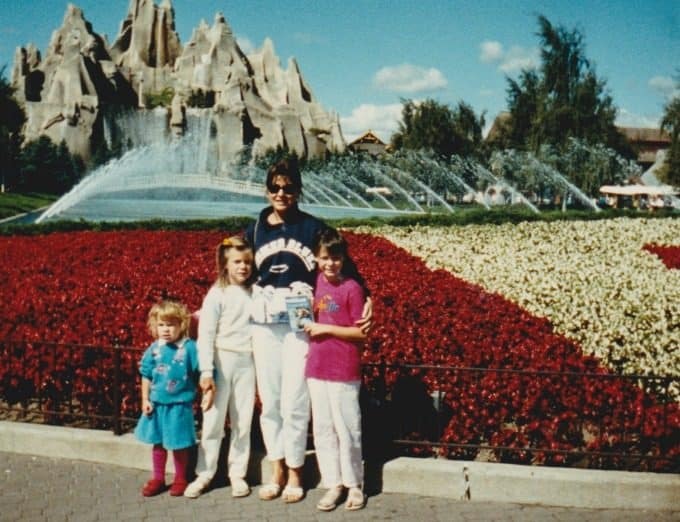 It was around 1986 or 1987 when my parents took my sisters and I to Canada’s Wonderland in Vaughan, ON. My aunt who lived in Toronto at the time came with us. Because it was so long ago, I only remember bits and pieces of our visit. However, what I’ll never forget is how I felt that day especially when I first walked into the park and discovered how big it was. I was in awe and couldn’t believe something so wonderful even existed. I’d even say that it was one of the best days of my childhood. The experience was unforgettable. My excitement was palpable. So many happy memories were made that day. I’ve visited many times since that day. I went with a group of friends in my late teen years. We also took our daughters there on a family vacation. As a child and teen, I went for the thrills. I loved the roller coasters. I’m in my late 30’s now and though I still love the rides, I’m also looking at some of the other perks a visit to Canada’s Wonderland offers. Like the food! 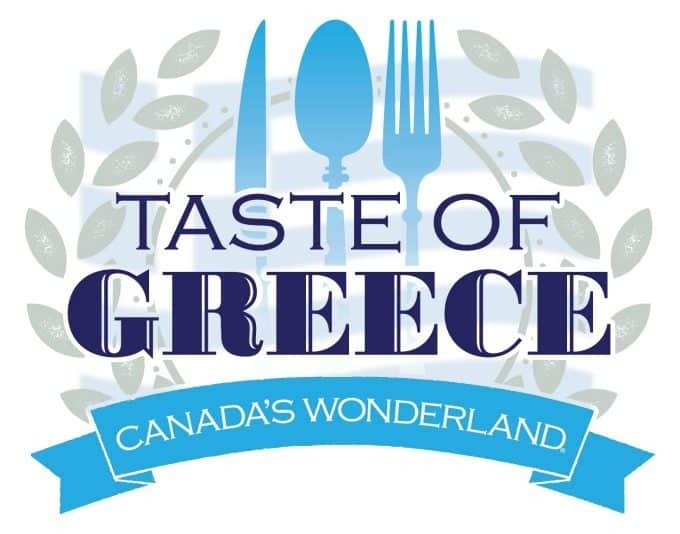 The foodie in me is salivating over Canada’s Wonderland bringing a Taste of Greece this year to Action Zone from noon to 10 pm on Saturday, July 23 and Sunday, July 24. Hello kebobs, feta cheese and more yummy classic Greek dishes. The food is from Catering by Nikos, an authentic Greek catering company. Check out the delicious menu! Not only do we have to look forward to the myriad of Greek food, but we can also immerse ourselves in Greek culture with music and street entertainment. Ola Band will provide live music at 1 pm, 3 pm, 5 pm and 7 pm both days. They are an authentic Greek band who play both traditional and modern music from various regions of Greece. Levendia X Hellenic Folklore Association, a live dance troupe, will be performing on Saturday. You won’t want to miss it. Another live dance troupe, the Dance Groups of the Greek Community of Toronto will be performing on Sunday. They have 175 dancers from ages 5 to 20 years old. Note that only the dancers ages 14 to 20 will be performing. The best part is that entrance is FREE with Park admission. After you’ve had your fill of the roller coasters and other thrilling rides, you can head over to Action Zone and experience the classic tastes of the Mediterranean. Delicious! Keep an eye on this Special Events page because there are more delicious food events to come. How does a Taste of Italy, a Food Truck Festival and Octoberfest sound to you? They’ll be coming up later on this year at Canada’s Wonderland. Can’t wait! Want to save 30% on your ticket? Visit Canada’s Wonderland online to buy your family’s park tickets in advance of your visit. 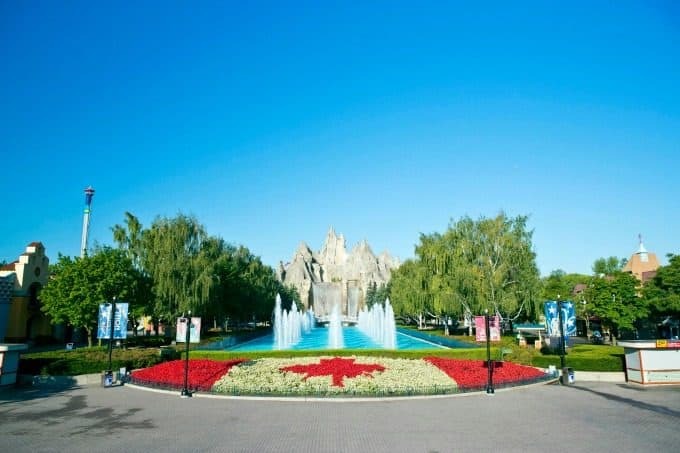 Do you plan to visit Canada’s Wonderland this summer? Thank you so, so much for sharing this. I always love it when Canadian bloggers share the attractions you can find in Canada. I don’t know why, but Canada doesn’t get enough tourism love, in my opinion. That sounds like a great place to visit! It would be a dream to go someday. Canada’s wonderland sounds like an amazing park. Sounds like a fun place to explore. Little far from us considering we live in the southwest in the USA, but if we ever get up that way we will totally check this out. It’s great that Canada’s Wonderland is including food events. It sounds like something my family and I would enjoy. Hopefully we can make it out there and experience it all. Ahhh….. Greek food? I’m in! Now I just have to get to Canada from Southern California. I think I see a road trip coming my way!! I love Greek Food.Canada’s Wonderland is definitely on my must see list. I won’t be visiting this summer. If I ever get up to Canada I will keep this in mind when planning my trip because yum! It sounds like so much fun! I never heard of Canada’s Wonderland, but I’d sure love to see it, and experience Taste of Greece, too. Lucky you! I’ve only been to Canada once! I would love to go back and visit Canada’s Wonderland. Looks like so much fun! Man looks beautiful! I love to travel, canada is definitely on that list. I’m excited. Thanks for sharing I’ll have to keep this one for when I go. The last time we were in Canada’s Wonderland was last year! Perhaps we’ll visit again to check this out. I would love to be able to go there. Hopefully sometime in the future I can check it out. Sounds like it would be very lovely. It looks like a nicer version of Disneyland. I love Greek food. I love going to Canada’s Wonderland. I have been going since i was a kid. I am so happy they are having a Taste of Greece this year. I love Greek food. Canada’s Wonderland looks like a fantastic place to spend the day with the kids. I would love to try the food. These places sound fantastic, thanks so much for sharing! It is always nice to see different places. Have never been really should make an effort and go at least once. Looks like such fun! The fountains are gorgeous! How cute! 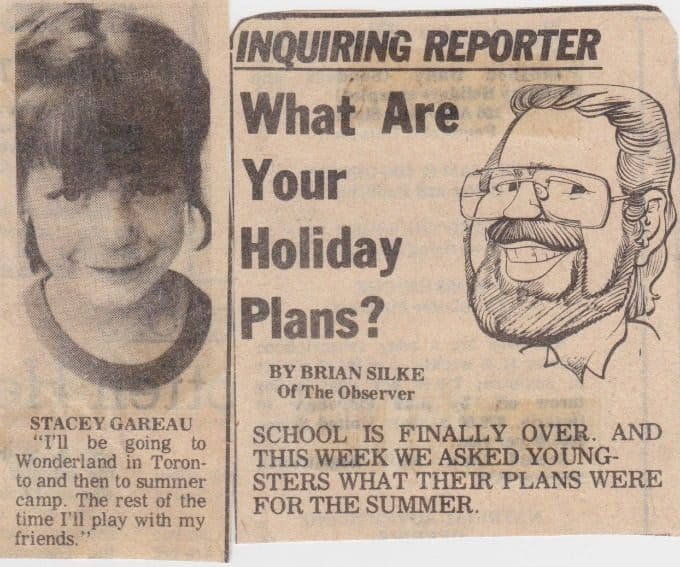 Love that you had such fun plans as a child. Must be fun to look back and reminiscence. Looks like I need to plan a trip to Canada soon! Fun rides for the family and delicious Greek food? Perfect trip for the family! I haven’t been to Canada’s Wonderland in years. I’d love to go again. Oh that will be great! This is another awesome reason to plan a trip to Canada’s wonderland with the family.